The original gate was guarded by a timber tower which was replaced by a stone tower in the 2nd century, and this in turn was replaced probably in the 14th century. 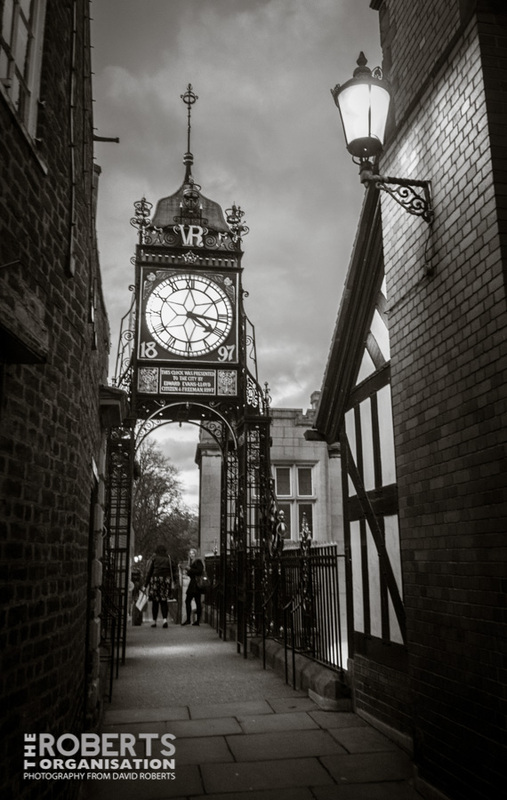 The present gateway dates from 1768 and is a three-arched sandstone structure which carries the walkway forming part of Chester city walls. In 1899 a clock was added to the top of the gateway to celebrate the diamond jubilee of Queen Victoria two years earlier. It is carried on openwork iron pylons, has a clock face on all four sides, and a copper ogee cupola. The clock was designed by the Chester architect John Douglas. The whole structure, gateway and clock, was designated as a Grade I listed building on 28 July 1955.